Like drama? Like travel? 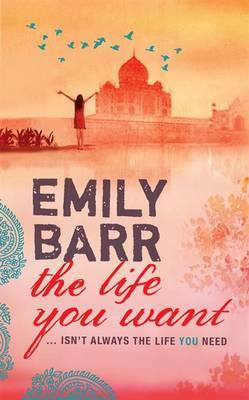 Check out Emily Barr’s recent offerings – perfect for adventurous females with complicated lives. They say you should never judge a book by its cover, and that’s certainly the case when it comes to author Emily Barr. On the surface, Barr’s novels look like they could fall neatly into the chick-lit/travel fiction category, but both of her recent offerings pack a psychological punch featuring characters trying to deal with troubled lives, gripping plot-lines and sinister twists that offer more bite than you might have bargained for. On the surface, Tansy has a charmed life in London with a loving husband and two beautiful children. But underneath it all, an alcohol problem, a past that haunts her and a nascent affair with her son’s teacher mean she’s on the verge of a breakdown. A trip to Southern India to visit an old backpacker buddy seems the perfect opportunity to take control of her life – but she isn’t prepared for what she discovers there, or the repercussions of her visit to a seemingly tranquil ashram. Gripping and dark, The Life You Want is a compelling read with convincing characters and superb descriptions of India from the perspective of a solo female traveler. 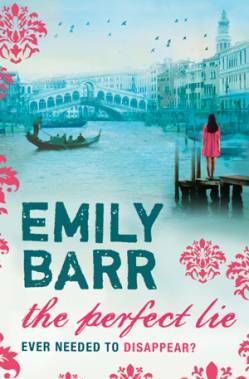 Set in Cornwall, London and Venice, a mention of the main character’s ‘pretend life’ in the opening line of Barr’s latest novel introduces Lucy Riddick, whose dark secret is about to catch up with her. Escaping to Venice seems the ideal place to start a new life, far away from the menacing memories that haunt her, but at what cost? And will she ever be free of her past? The Perfect Lie cleverly weaves together the stories of three different narrators, Lucy, Marianne and Eliza, resulting in harrowing revelations and a disturbing twist that makes for uncomfortable reading. Some of the sub-plots may seem a little contrived, but without detriment to the overall pace of the book, resulting in an addictive page-turner. Are you a fan of Emily Barr? Got more female-friendly travel books? Let us know we want to hear from you!